At Medical Pediatrics our team consists of experienced, compassionate pediatricians and friendly, nurturing staff members who take pride in giving our young patients the personalized pediatric care that they deserve. We appreciate your consideration and can assure you that you'll feel confident in our ability to meet all of your expectations. Our pediatricians are highly educated professionals who have undergone rigorous academic and clinical training in pediatrics. We maintain a high level of expertise through continuing education in order to provide the most up-to-date care for the young patients we are privileged to serve. Medical Pediatrics believes in a team approach to your child's health and well-being, so all of our doctors collaborate with parents to provide the highest level of care. We appreciate the opportunity to care for your child and pride ourselves on making pediatric care a pleasant experience for all of our patients. 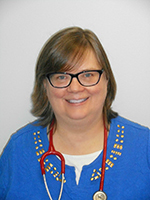 Jennifer Pyle is a board certified pediatrician who brings a comprehensive yet individualistic approach to Medical Pediatrics, Ltd. To view Dr. Pyle's Curriculum Vitae click on the link below. After 50 years of dedicated pediatric service to his patients and their families, Medical Pediatrics, and our community, Dr. Armando Perez retired from medical practice. Serving generations of pediatrics families was his great joy and he is very thankful for the honor. 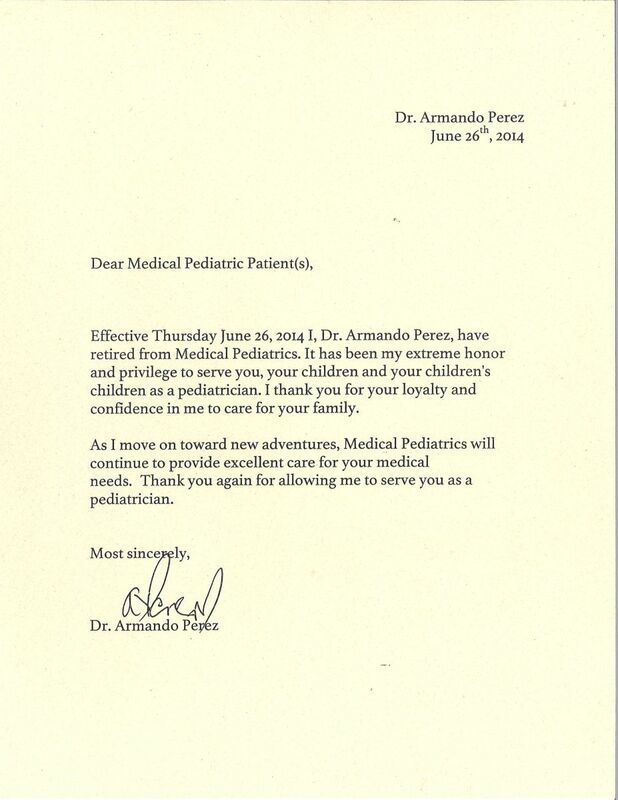 Click here to read Dr. Perez's farewell letter to his patients and their families.